I was fortunate to make the annual vigil to Huntsville this year. 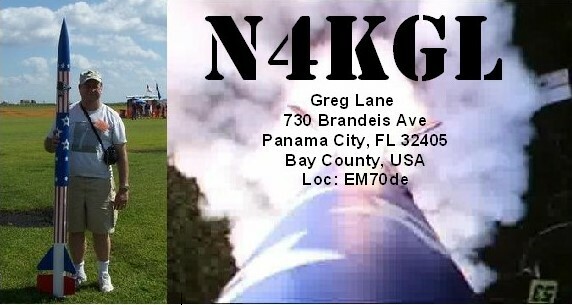 Marv KK4DKT and I drive up from Panama City FL together. Friday night we setup portable behind the La Quinta. Marv deployed his Ham Box 1000 and did DSTAR back to Panama City and I worked a Cuban Station on 20 meters SSB with the Alexloop. It is always a pleasure to meetup with my buddy John K4KQZ from Columbia TN. We all do our best to simulate the economy. 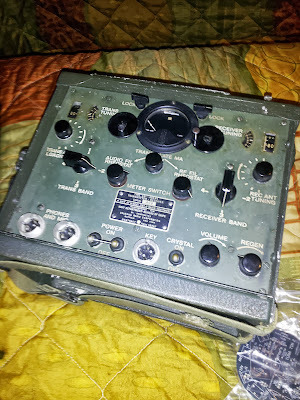 This year I bought a Heathkit Solid State Dip Meter in good shape for antenna work.. When I saw the LNR Precision Trail-Friendly 40/20/10 End Fed, I could not leave without it. It looks perfect for Rapid Deployment Amateur Radio (RaDAR). I threw away the box and put it in my pocket. Craig NM4T my Huntsville Buddy hosted a Build-A-Thon with Rex W1REX on Monte Sano Saturday night. It was good to see several young folks do a good job on the tuna tins. Hey did you know those kits can be built in the dark with penlights. 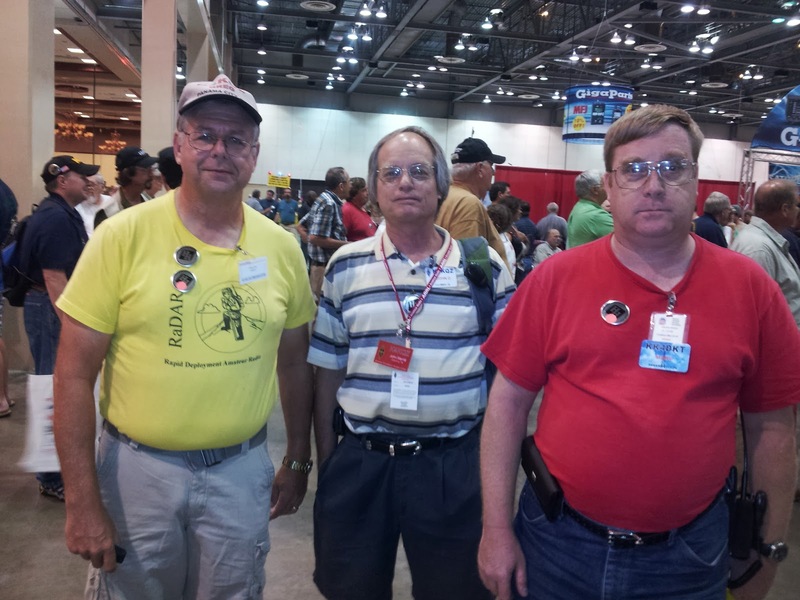 We were joined by Jerry N4EO also from Columbia TN. 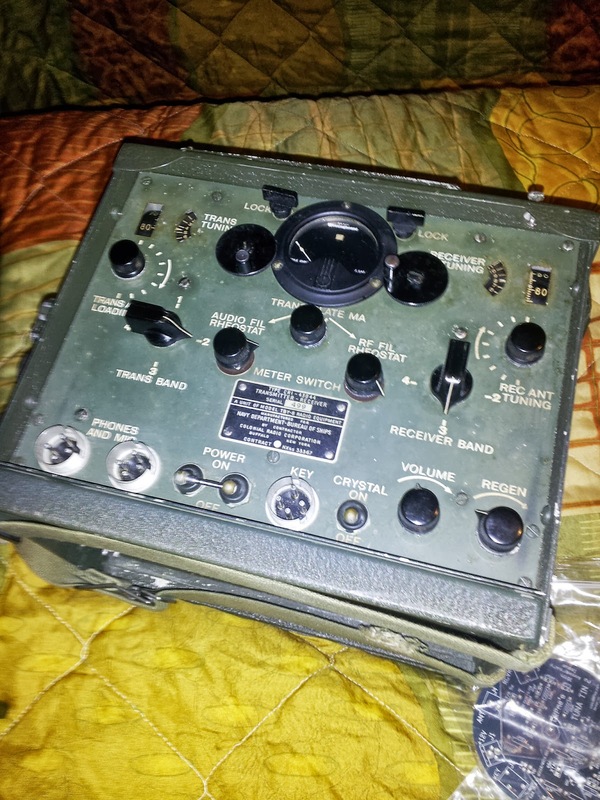 He bought three military PRC type radios. One was a Navaho Code Talker Set. They were awesome. 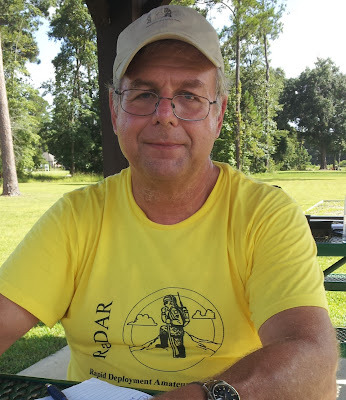 Sunday, I gave a QRP Forum presentation on RaDAR to about 20 hams. It was fun sharing the RaDAR concepts Eddie ZS6BNE has given us from South Africa. Mike N4MHO from the RaDAR Google+ Community attended and we also had an eyeball QSO Saturday. I also enjoyed Craig NM4T's presentation on salt water operations. 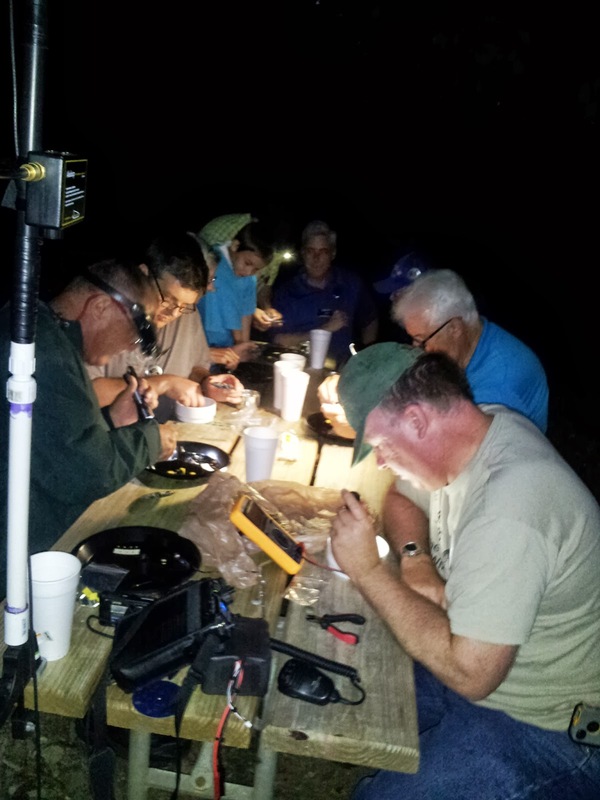 Craig NM4Tdoes an outstanding job with the QRP forums and the Monte Sano activity. It has become to be known as Two Days in Huntsville (TDiH). There were prizes at the forums and I won a digital subscription to CQ magazine. I saw a presentation on kit building by Joe K0NEB fron Lincoln Nebraska. Since Joe was from Lincoln, I asked him if he knew Thomas WD0HBR my Dothan buddy who moved to AL from Lincoln. Sure enough Joe was one of Tom's students when he taught broadcasting in college there. 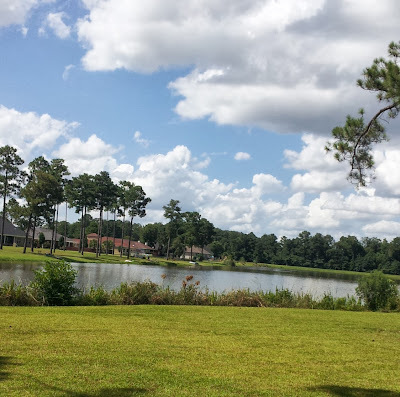 I am looking forward to Orlando Hamcation in February and a return to Huntsville next year! 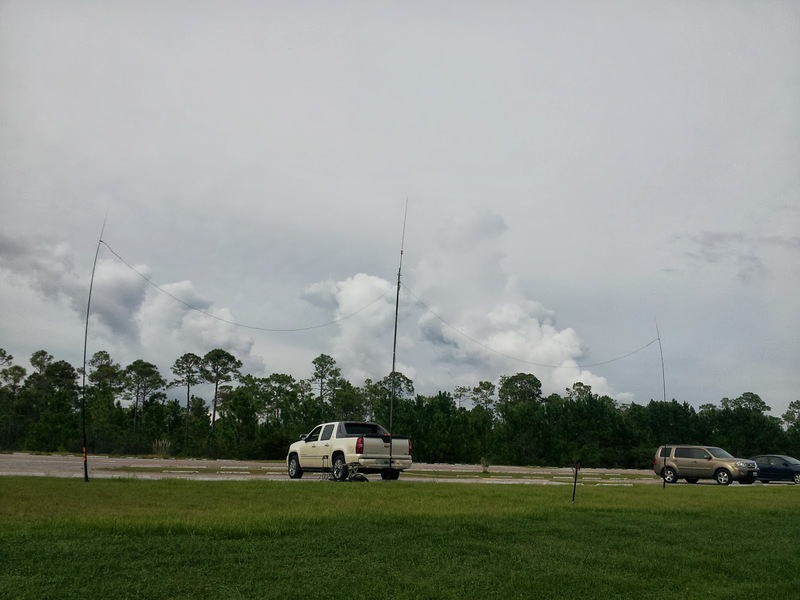 The Rapid Deployment Amateur Radio (RaDAR) Challenge is in effect with new rules. The rules encourage combining a walk with your portable operations. I decided to visit Topsail State Park while my wife worked a four hour shift a Miramar Beach, FL. 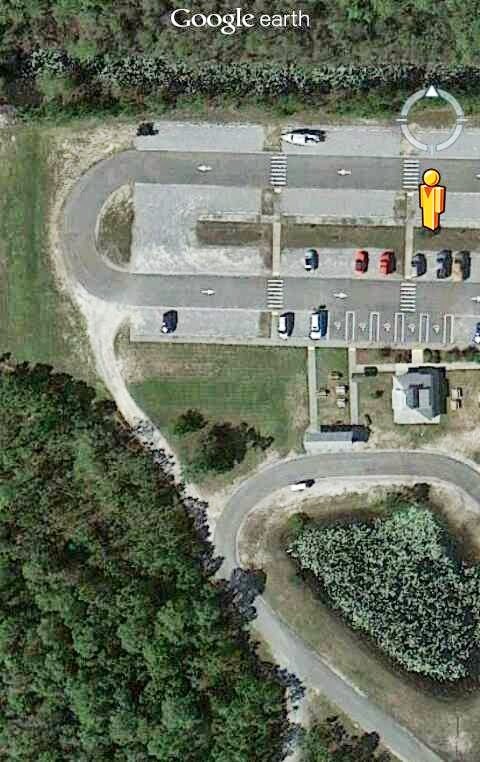 I know from previous visits to Topsail there is a nice picnic area 2.6 km from the parking area. I decided to make the hike with my minimal pack up; KX3, Alexloop and external battery in my backpack. Upon arrival at the picnic area I discovered I forgot to include the camera tripod that supports the AlexLoop. This was scary because I did not bring any backup wire antennas. 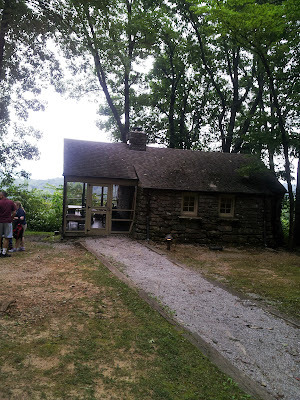 Well a search of the area did yield a stick that I could wedge between the slats on the picnic table see photo. The AlexLoop was cocked a bit but who knows this might be advantageous. 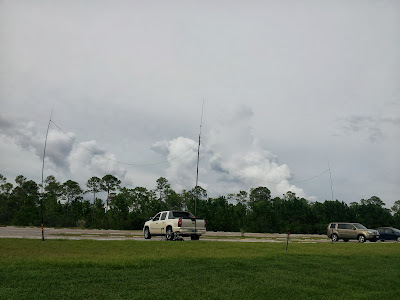 I also advertised this outing as a on-the-air meetup with hams in the RaDAR google plus community. I chose 17 meters as the band for the meet up. I did not snag any of them. But I was also bouncing around to try to get five contacts in any case. 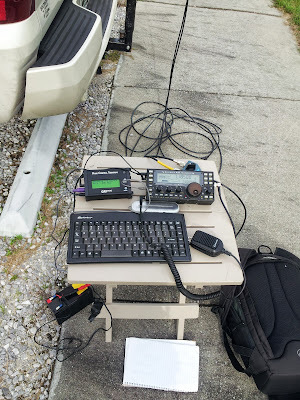 My SSB CQ did yield XE2YWB. He gave me a 57. Then K0BLT called. He gave me a 57 to 59. SSB played out and I went to CW and answered N1EP in Maine. 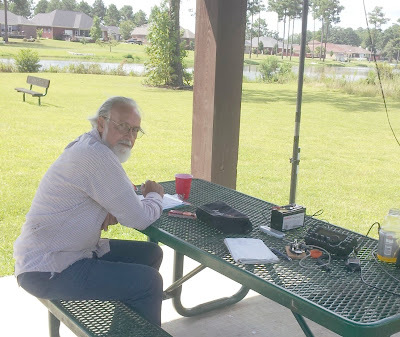 He was QRP on a FT 817 so that was a two way QRP QSO. I called CQ on PSK with no luck but I did snag CO8LY Cuba on PSK. 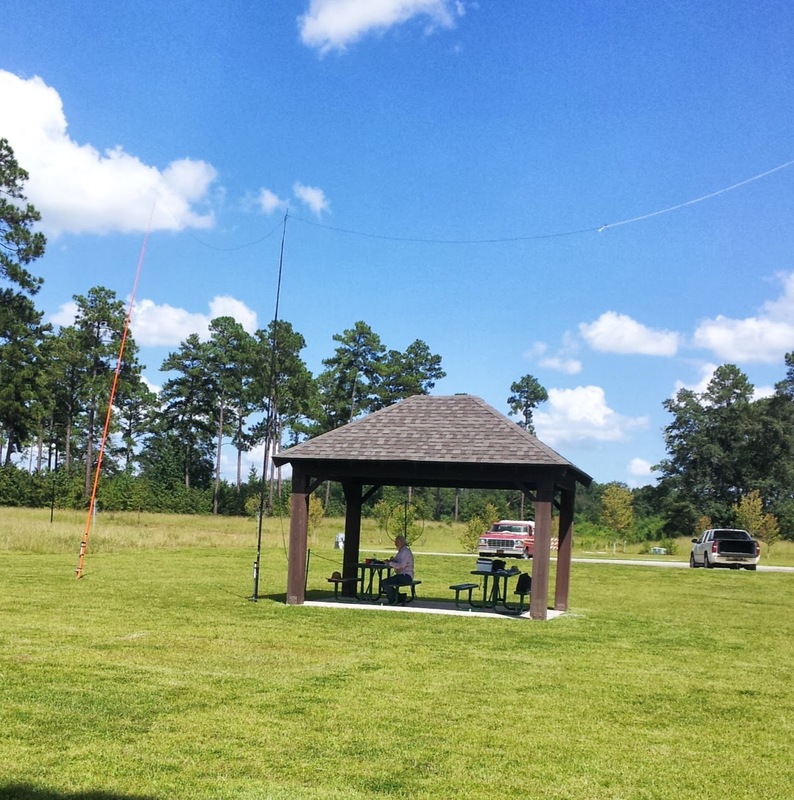 The final QSO was KW7D in NM on CW. BTW my minimal pack up does include the Ham Central Terminal HCT. I use it for PSK support and logging. I was very pleased to get five QSOs. The time at the picnic area was limited to about 1.5 hours as I needed to exit the park before sundown and meet my wife. Being late was not an option you know. 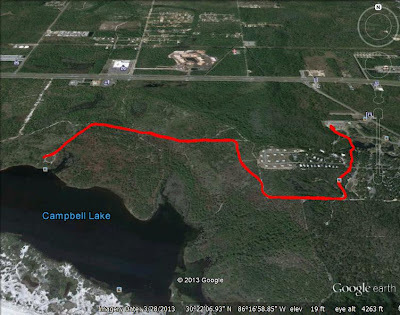 As far as the Radar challenge if you walk 1 kilometer and setup the QSOs are 2 contact points each. 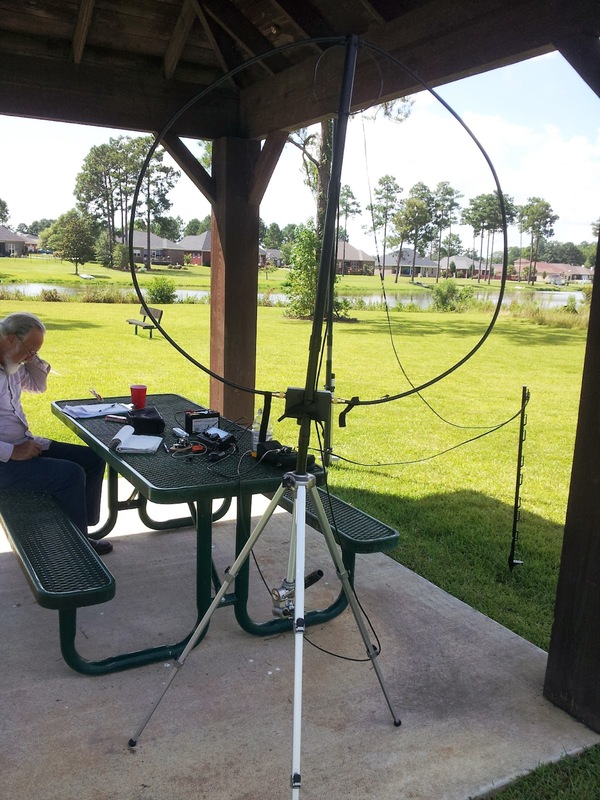 There are bonuses in the challenge 7 for at least one digital contact, 3 for at least one CW contact and 5 for at least one QRP contact. So contact points plus bonus is 10 + 15 = 25 total. The RaDAR concept was originated by Eddie ZS6BNE. See Eddie's blog at this link. Marcus KD0JKM introduced RaDAR in America. See the site at http://radar-america.blogspot.com/ There was a RaDAR contest in April and will be another in November. These parallel contests in South Africa. Meanwhile there is RaDAR Challenge. See this link for the updated Monthly RaDAR Challenge rules. RaDAR encourages taking portable ops a bit further to include a hike. It helps to make sure you have all you gear in the pack up. I squeezed by on forgetting my tripod. I should have brought some wire in case there was no option to support the loop. If this RaDAR idea appeals to you checkout the RaDAR community on Google plus at this link You do not have to join the group to participate in RaDAR. 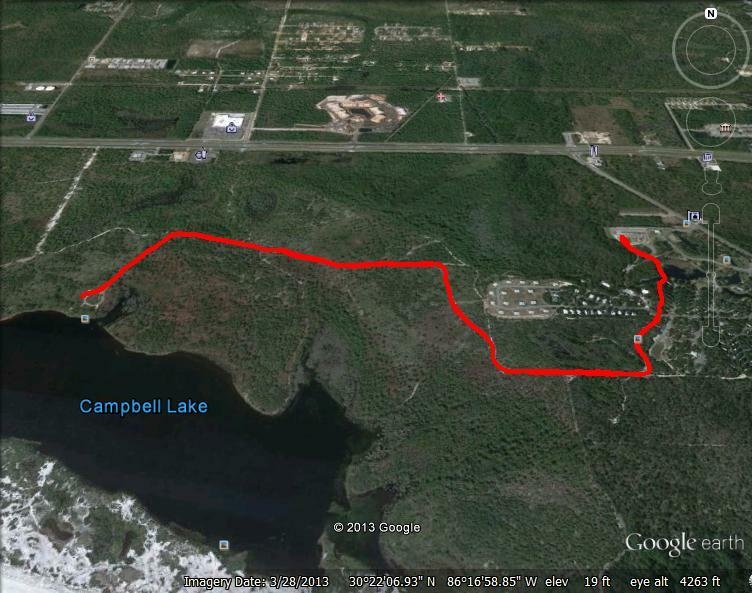 2.6 kilometer hike from parking to picnic area by the lake.